Dean P. Baquet is primarily known as a Pulitzer Prize winner in journalism and the first African American executive editor of the New York Times. Baquet was born on September 21, 1956 in New Orleans, Louisiana, into a middle class family which included four other brothers. One brother, Terry Baquet, is also a Pulitzer Prize award winner. Baquet’s father Edward was a veteran and former postal worker turned Creole restaurant owner in New Orleans. His mother, Myrtle, worked in the restaurant alongside her husband. After high school Banquet choose to attend Columbia University in New York City, New York and planned to major in English literature. He did not graduate from Columbia but instead dropped out after his sophomore year because he had interned at the States-Item, a local newspaper in New Orleans, during the summer and decided to become a full time reporter focusing on uncovering local corruption. After seven years at States-Item and a short stretch at the Times-Picayune, Baquet went to work for the Chicago Tribune in 1984. Four years later in 1988 he and Ann Marie Lipinski won a Pulitzer Prize for their coverage of City Council corruption in Chicago, Illinois. 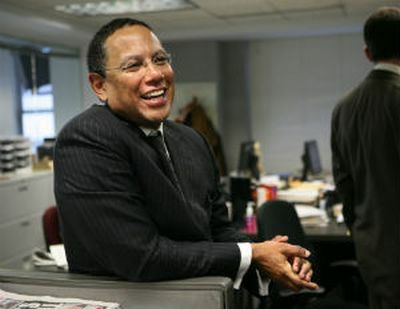 In 1990, Baquet was hired as an investigative reporter for the New York Times but soon afterwards was made an editor by executive editor Joseph Lelyveld. Baquet eventually left the New York Times and was hired to become the managing editor of the Los Angeles Times by John Carroll. While there Baquet and Carroll made many changes such as replacing editors, increasing the number of people in the Washington, D.C. bureau, and increasing to 24 the number of overseas bureaus. He also pursued and investigated many stories including Walmart business practices and scandals involving California Governor Arnold Schwarzenegger. Baquet was terminated by the Los Angeles Times in 2006 after he had refused to cut jobs because he believed the staff reductions would jeopardize the quality of the paper. In 2007 Baquet returned to the New York Times as the Washington bureau chief under executive editor Bill Keller. Although Baquet was passed over as the next executive editor for Jill Abramson, he remained at the Times. In less than three years Abramson was fired and on May 14, 2014, Baquet at the age of 57 became the first African American executive editor of the New York Times in its 163-year history. Joe Coscarelli, "Everything You Need to Know About Dean Baquet, the First Black Executive Editor of the New York Times," New York Times, May 14, 2014, http://nymag.com/daily/intelligencer/2014/05/dean-baquet-new-york-times-first-black-executive-editor.html; "Myrtle Baquet, Creole Restaurateur, Dies at Age 88," The Times-Picayune 25 May 25, 2010, http://www.nola.com/dining/index.ssf/2010/05/myrtle_baquet_creole_restaurat.html.